Work/life balance is a common term used by startups and big corporations alike. Employers use it to show potential hires that they are the progressive, modern, forward-thinking type of business you’d want to be a part of. You know, the ones that are totally cool with you ditching the 9-5 grind. Potential candidates use it to show they’re not interested in working for the overbearing, punch-in/punch-out, old-fashioned companies of yesteryear. Especially those dang millennials, who demand freedom and individual accountability. The problem is, the definition of a good work/life balance varies widely depending on who you talk to. For instance, I recently came across an article written by the CEO of a small startup. In it, he detailed how he had his entire company fly down to Costa Rica to work and live with each other for an entire month. They ate together, they worked together, they slept together, they worked together, they adventured together, they worked some more together. He touted all of the benefits of the experience, including building a “deeper” company culture. How do you define your company culture? Building a team that works really well together is important for any business. The problem with how many start ups are defining culture is that it now extends way beyond work. You can be the perfect fit for a role in their company. You have the education, talent, experience, and drive to make a powerful impact there. You possess all of the requirements you need to excel at your work. But that’s not always enough anymore. You might not fit in with their “culture”. Today, it’s common for people to be fired from their jobs for posting something stupid on social media. Life and work are mixing together, and it can be an ugly combination. 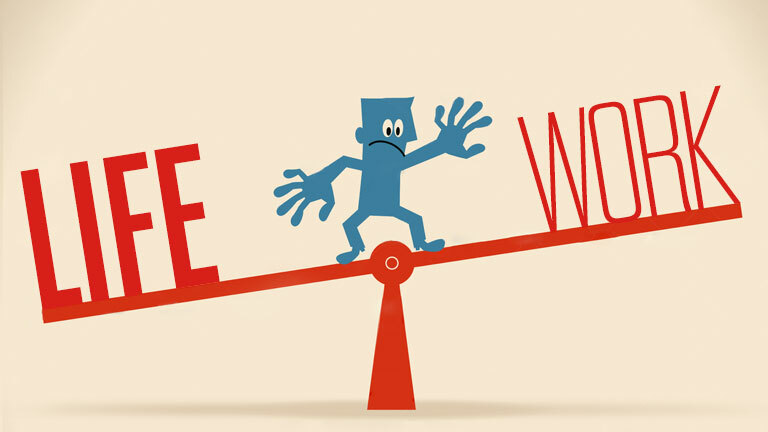 The term work/life balance should be used much more literally, in connection with having a balanced view of work vs living your actual life. Instead, many companies are using it to blend work and life together, so that work bleeds into every aspect of your life. Google was a huge pioneer of this ideology. We often hear of how amazing it is to work at Google. The free food, booze, massages, napping pods (yes, that’s a real thing), vacations, hair cuts, transportation, and on and on. All of these things are found, of course, at work. What Google, and Google wannabes, really want is to remove all potential obstacles to you getting more work done. Now, when you get an email at 8pm on a Friday about something urgent, you may almost feel guilty for not replying to it. I love the people I work with. Working with a vibrant, diverse, fun, hard-working team is both motivating and fulfilling. And I didn’t have to live with them in another country for a month to accomplish this. I believe it’s important to establish and maintain barriers between work and life. You can build a company culture without sacrificing this. Let’s be honest. Would any of us be working at all if we didn’t have to? We would all be spending our time doing things we enjoy. So why attempt to mix the two together? Living with someone, as this startup CEO had his team do, is entirely different from working with them. I have had many roommates in my life. Many have been great. Some have made me want to gouge my eyes out. And the thing is, I believe I could have easily gotten along with those ones as well, if it weren’t for the fact that I lived with them. What happens when people start to judge their coworker’s work based on how much they kept them up the previous night from their relentless snoring? Or the fact that they leave dirty dishes around for two days before washing them? Or how they always use up the hot water in the morning with their long showers? Now, most companies aren’t going to do something as extreme as bunking their team together in an Airbnb in a foreign country for a month. But with the many positive reactions that came from that article, there seems to be a troubling movement happening. Will people who aren’t interested in engaging in “fun activities” outside of work be excluded from employment opportunities? Will employees who want to keep their work and personal lives separate be ostracized? By the way, the CEO of that startup didn’t even cover the cost of his employees’ flights. They had to pay for that out of their own pockets. Hardly sounds “balanced” to me. Sadly, the gap between the two becomes narrower every day.